YOUR PRETTY FACE IS GOING STRAIGHT TO HELL #16 is finally done and printed and all that. it's been 9 months since #15 and while that's not that long really, it feels like way too long for me. 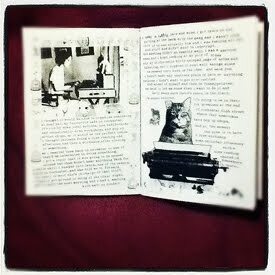 and this zine has been 'almost finished' for almost 2 months, so i'm happy that it's finally done. i write about turning thirty (which i'm still not) being together with the same person for seven years, other sevens, my trip to the tooting zine fest and writing letters. 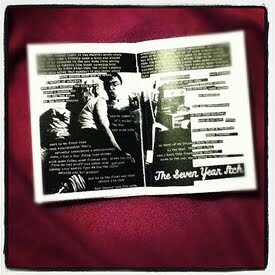 it's the usual £2 for a quarter size zine, with 36 pages if my maths are right. i've added the zine to the vampire sushi distro website along with a couple of other zines, but if there's nothing else you want from the distro and you live in the uk, you can also buy with the paypal link below for £2.50 inc postage. 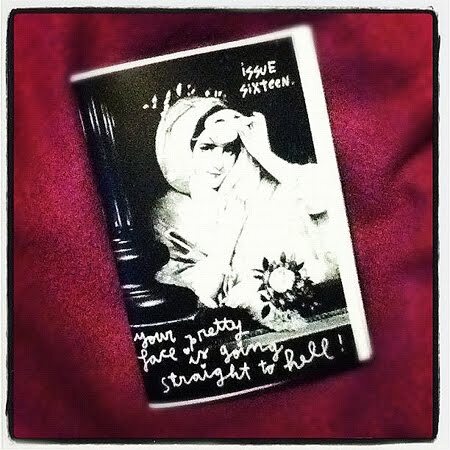 if yr outside uk, you might as well get your postage's worth and order some other zines too! as usual, i will also do trades as long as they are fair!